One of the many things that we enjoy is seeing how active our daughters are in our community. 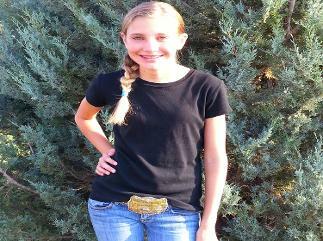 Both our daughters are very active in the Elbert County 4 H program. 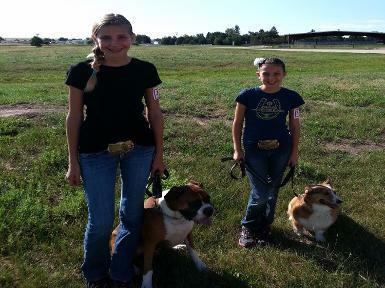 Both of our daughters, Makenna and Kalyssa love the 4H dog project as well as many other 4 H projects and activities. We are the superintendents for Elbert County 4 H dog. It makes us proud to see that our daughters have so much compassion towards all animals. 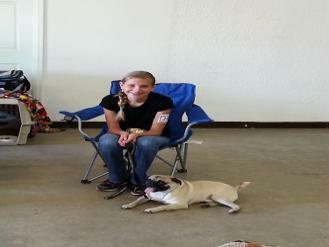 This year in 4 H dog project, Makenna and her boys Buddah (boxer) and Neptune (pug) are once again doing showmanship, obedience and rally. 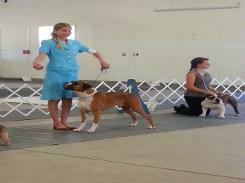 Kalyssa does 4H showmanship, obedience and rally with her dog Zoey (corgi). 4 H teaches your child responsibility as well as works on several other qualities that will benefit them as adults. All your hard work and effort paid off. You set your mind to training your Boxer and you succeeded. You and Buddah make such a wonderful team. Buddah will do anything to please and protect you. Keep up the good work sweetheart.